Don’t be an easy target for shady mechanics. Read about the lies that some mechanics may tell you just to earn a quick buck, and learn what to look out for. While most mechanics make an honest living trying to solve the issues that you have with your car, there would always be bad apples trying to profit through unethical means. As most drivers do not have a deep understanding of how the various parts of a car work (that’s why we go to the mechanics), it is easy for us to be misled and end up spending more than required to get our cars back to working condition. Here are some of the lies that crooked car mechanics may tell you. Many car parts are difficult for the average driver to inspect, with our layman knowledge, we tend to believe what the mechanic tells us. It is not uncommon for shady mechanics to pass off used or reconditioned parts as brand new ones to make a quick buck off you. Ask to have a look at the replacement part before it has been installed in your car, there should be no reason for your mechanic to deny such a request if they are not attempting to con you. A brand new part usually comes with proper packaging such as a box, look out for any mismatching description. Your replacement Honda part shouldn’t come in a box with Subaru logos on it. 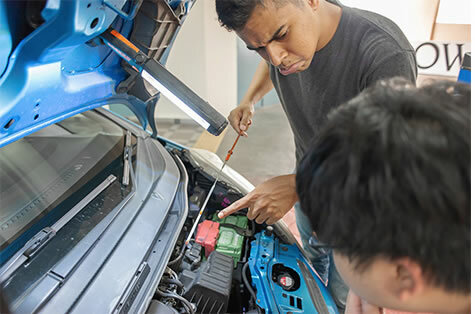 Sometimes minor issues such as loose connections may throw up a check engine light or cause other problems with your car. While all that needs to be done can be just as simple as plugging the connector back, it is clearly not the most profitable option. Shady mechanics may tell you that they have ‘serviced’ or replaced the part in order to charge you much more than what the fix will have cost. When in doubt, you should ask your mechanic for more information of the repair work done, and if he claims that a part has been replaced, you should ask to see the old part that was taken out from your car. If he tries to put it off by telling you that he has thrown the old part away, or that you wouldn’t understand how the part was serviced even if he told you, there is a huge possibility that he’s trying to hide something from you. Workshops often offer free checks for your car’s various components when you send it in for an oil change. While these value added services seem to portray the image of a workshop that go the extra mile to provide the best services for their customers, some workshops use these as an opportunity to maximise their earnings. Doesn’t it seem fishy that every single time you go for an oil change, there’s always something on your car that needs to be fixed? We are not asking you to doubt everything that your mechanic tells you, however you should always clarify any doubts and ask to have a look at the part that needs to be changed. A good mechanic with nothing to hide will make the effort to explain the situation to you. At times, some mechanics may exaggerate the severity of a minor issue that your car has in order to convince you to spend on repairing it there and then. While it may not be a blatant lie, certain parts, albeit showing signs of wear, can still be safely used for a reasonable period of time before it really needs to be replaced. A proper mechanic will convince you on the need to change certain parts by pointing out facts, and not by exaggerating the issue to scare you into changing the part. Some parts function individually and are not required to be changed as a set. A common part that is often recommended to be replaced as a set is the ignition coil. Mechanics often reason that when one of the ignition coils spoils, the rest are probably on the verge of failing. However, unless there are obvious signs of wear or damage, there is no sure way to know how long the others would last. As the saying goes, don’t fix what’s not broken, it makes little sense to replace perfectly fine working parts, especially if you are on a budget. If one of your tyre punctured after you just changed to a fresh set of four recently, you won’t replace all four of them. As individual parts can fail prematurely due to a variety of reasons, it makes little sense to pre-emptively replace other parts that are working flawlessly. 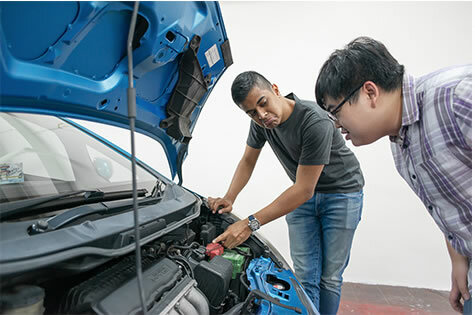 Most of us aren’t exactly experts when it comes to the thousands of components in a car, hence we need to do our own research to have an idea of what a proper repair comprises of, so that we are not taken for a ride by shady mechanics. 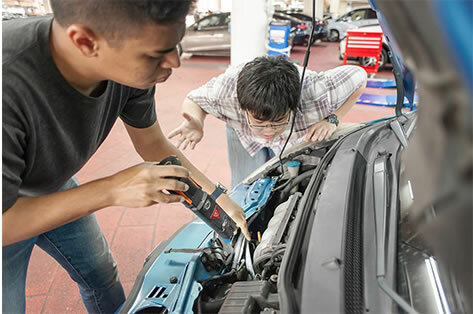 If a mechanic gives you a false description of a repair job, there are only two possibilities: He’s lying to you or he has no basic knowledge of the repair, which could mean that the repair job is probably outsourced to other workshops. It’ll be wise not to leave your car with such mechanics. One common example of this is the ‘skimming of air-con compressor clutch’. An air-con compressor clutch mechanism utilises an electromagnetic coil which engages the pulley, this controls the air-con compressor by allowing power from the engine to be transferred to it. When the pulley is disengaged, the air-con compressor stops running. Over time, the compressor clutch wears off and there is now a larger gap, the electromagnetic coil will not be powerful enough to overcome the gap and hence the air-conditioning system no longer works. Some mechanics may suggest to ‘skim the compressor clutch’, which makes no sense at all as machining material off will not help anything in such cases. What most actually does is to reduce that gap by removing a shim or two from the assembly for the air-con to work again. It is a relatively simple job which will not cost much, and is hence not profitable.